Laguna’s new UV Sterilizer/Clarifier helps create beneficial water conditions for fish and plants and is guaranteed to eliminate green water in medium to large ponds. The unit features a unique spiral chamber that allows extended water exposure to UV rays, increasing clarifying efficiency by up to 50%. 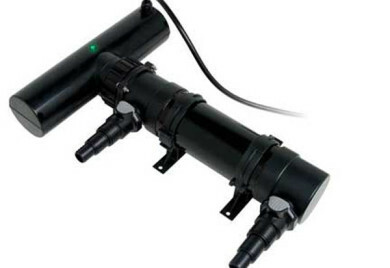 Two universal Click-Fit connectors allow connections to 3/4, 1, or 1-1/4 in tubing, making in-line pond installation a snap. The unit also has an LED light that indicates when the UV lamp is on. It can be mounted horizontally or vertically (mounting brackets provided). LED Indicator – Safely shows that UV-C lamp is working when on. The UV Sterilizer/Clarifier is covered by a 3-year warranty. The unit is EPA registered. 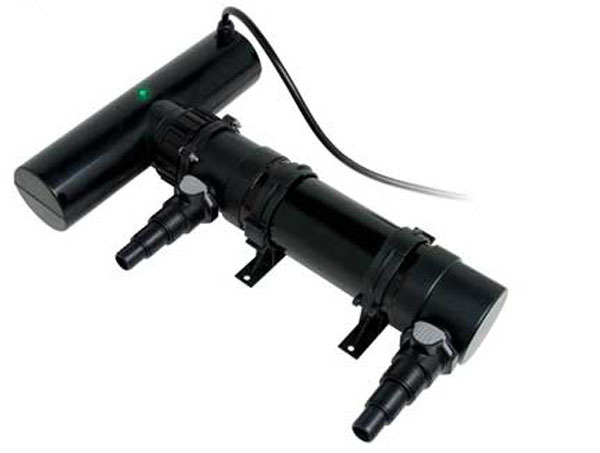 A leader in Pond Supplies – A Leading Supplier of UV Clarifiers for ponds!